Don’t worry if you can’t make it to one of the pop-ups, as we also have a handy guide that you can download HERE! This entry was posted in jobs, part-time work and tagged events, part-time jobs, pop-ups on 19 September 2017 by UoC Careers Team. Entry Level positions in Marketing Team, Wayfair. WAYFAIR is looking for graduates and early career professionals on an ongoing basis to start their career in Marketing. We are building the marketing platform to run a pan-European online home & lifestyle business and replicate the success of our US parent company. At Wayfair Europe, you have the possibility to work in an exciting and rapidly-evolving startup-like environment in Berlin while being backed by the technical expertise and know-how of a large and successful US business. Wayfair Marketing and you – data analytics or creative track? As a graduate or early career professional in Marketing, you will closely work together with experienced Online Marketers in developing, executing and tracking Marketing campaigns.During your initial 12-18 months, you will have the opportunity to rotate within the different Marketing teams so that we together can identify the role most suitable for you. While all positions will require sound analytical skills, we offer a more quantitative data analytics track and a more creative track. Apply and we will find out what fits best to you, be it in Search Engine Marketing, Display, Social, SEO, Content Creation, Mobile App Marketing, Video, Direct Mail & Print or Data Science. If you are interested in applying and seeing some of the other positions that Wayfair have please follow this link. Good Luck. This entry was posted in career, Friday's Featured Vacancy, jobs, recruitment, vacancies on 19 February 2016 by UoC Careers Team. Work to live; or live to work. What’s important for you? For graduates starting their first jobs, it can be difficult to imagine what full time working life will be like… from new colleagues to a whole different set of targets and pressures. One important aspect of any new job is the average working hours you will be expected to fulfil, however some graduates may feel uncomfortable asking about work-life balance during interviews – perhaps worried that it may give off the ‘wrong impression’. This entry was posted in career, graduate, jobs, working hours and tagged hours; work-life balance on 8 February 2016 by UoC Careers Team. Lockhart Garratt has developed into one of England’s leading consultancies providing expert, independent, high quality and professional advice with a focus on all matters relating to trees, woodland and forestry. They manage approximately 8000ha of woodland throughout Central England and East Anglia with offices in Northamptonshire and Oxfordshire. Last year the careers and employability team placed James Broom on to a placement with them. Now he’s coming to the end of his placement he’s reflected on his time with the company. 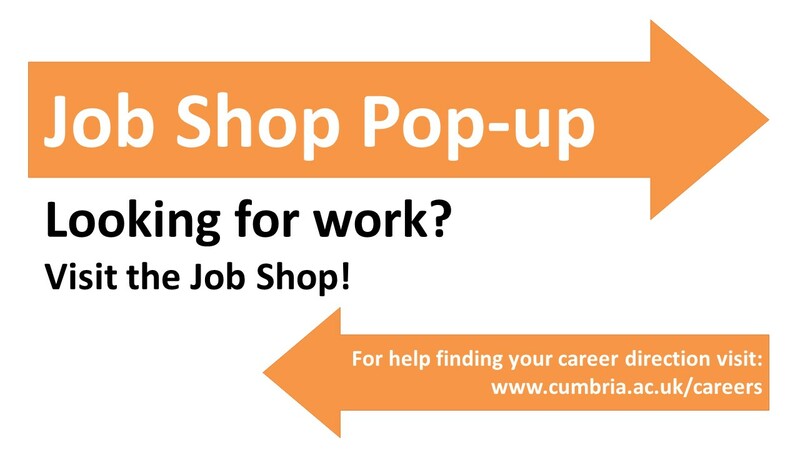 From James’ success University of Cumbria have been asked to advertise the placement again. Lockhart Garratt has a proven track record in coaching and mentoring recent graduates and new entrants to the industry. They ensure that a variety of new skills and work experience is provided over the year. This entry was posted in career, careers, employment, Friday's Featured Vacancy, jobs, recruitment, vacancies on 29 January 2016 by UoC Careers Team. To be a great Production Trainee you need to be creative, have lots of fresh programme ideas and have the desire to make great television, radio and online content. If you have something to say and can bring a different and fresh perspective to our programme-making teams then we want to hear from you. We want creative and passionate people with great ideas, but not necessarily people with academic qualifications. So don’t talk yourself out of this great opportunity. If you gain a place on the Production Trainee Scheme you will be given an 11 month contract, and during that time we’ll train and develop you for a career in the media. You’ll be given three different work placements across the UK, in Radio and Television. You’ll be mentored by a senior BBC Manager and, by the end of the scheme, you’ll have the skills to turn creative ideas into brilliant programmes. Past placements have included EastEnders, Doctor Who, Radio 1, CBBC, The One Show, Woman’s Hour, The Chris Evans Show, Radio 4 Documentaries, The Culture Show, Crimewatch, Coast and the Natural History Unit – to name but a few. To be a Production Trainee, you must be able to work flexibly. You’ll be required to move productions every few months, and spend at least one of your work placements in a BBC production centre outside London in either Cardiff, Bristol, Belfast, Glasgow, Birmingham or Salford. This entry was posted in career, Friday's Featured Vacancy, jobs, recruitment, vacancies on 22 January 2016 by UoC Careers Team. The Bosch Group is a leading global supplier of technology and services. Bosch employs around 50 undergraduates in Denham, providing an active support network amongst both staff and interns. The Shared Service Centre Training Department is based at Denham, although we work closely with all sites across the UK. Together we cover all UK training requirements and organise training at various locations throughout the UK. Preparation of training course material packs and support of trainers on site. Managing the training evaluation process. PA Team Support (travel bookings, admin support). Involvement in various departmental projects as required. Cooperating with and supporting the training administration team based in Liverpool. Proficient in Microsoft Office – Word, PowerPoint, Excel and Outlook. Advanced in Excel would be advantageous. You should have a very good understanding of written and spoken English. Good attention to detail and the ability to prioritise your workload. …and be a friendly individual who gets on well with others in the team and is polite and customer focussed. It is advantageous if you have a good, clear telephone manner. We would like you to start in July 2016 for a 12 month placement.Before applying for this vacancy, you must inform your Faculty/School Placement Officer. If your Faculty/School does not have a Placement Officer, you must inform your Course Tutor. This is important because there may be the need for the employer to be verified by the University to ensure that, where applicable, the position can be credited to your degree. Application Deadline: 29th February 2016 Please send your CV, Covering Letter, and completed Student Internship form to opportunities.denham@uk.Bosch.com quoting Reference Number TRA1. This entry was posted in employment, Friday's Featured Vacancy, graduate, jobs, recruitment on 15 January 2016 by UoC Careers Team.